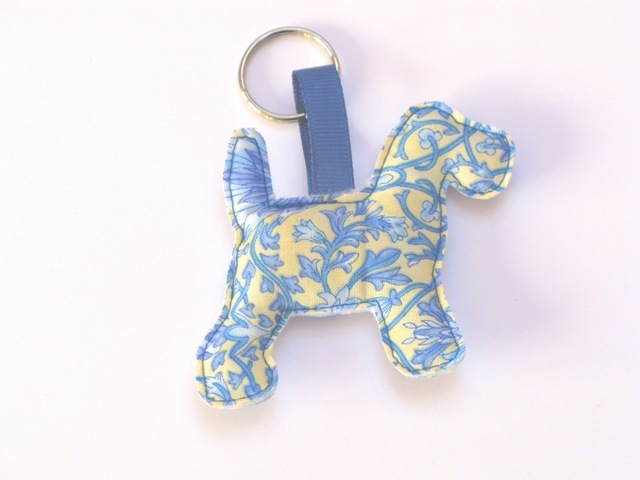 Beautiful fabric keyrings made in gorgeous fabrics. Shabby chic at its best. 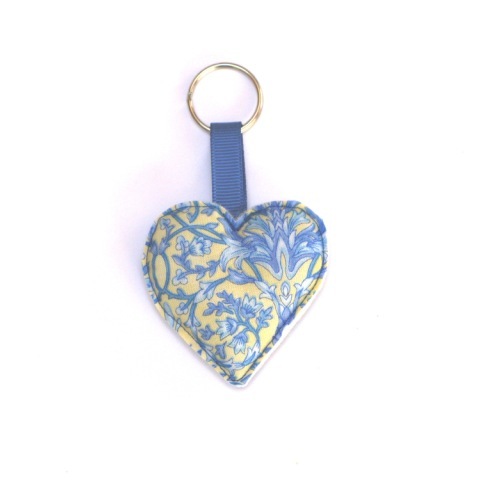 Beautiful fabric keyrings that come in the 4 designs: bird, dog, heart & flower all made with this gorgeous William Morris style fabric. 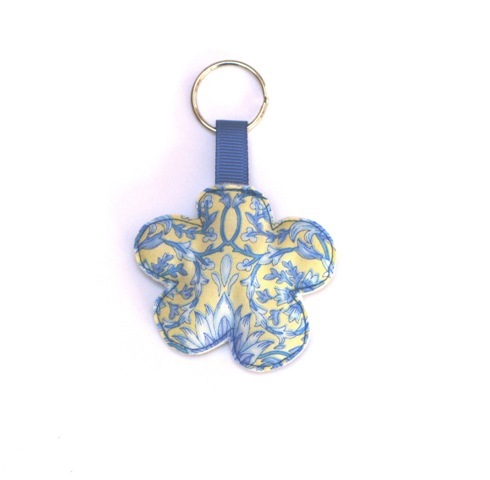 Each keyring is made with this fabric on both sides and filled with quilting batting and finished with complementary ribbon and a metal split ring to hang it onto your keys. The edges of the fabric are treated with fray stoppa to prevent too much fraying. Please note that some fraying may occur over time but this just adds to the shabby chic look.